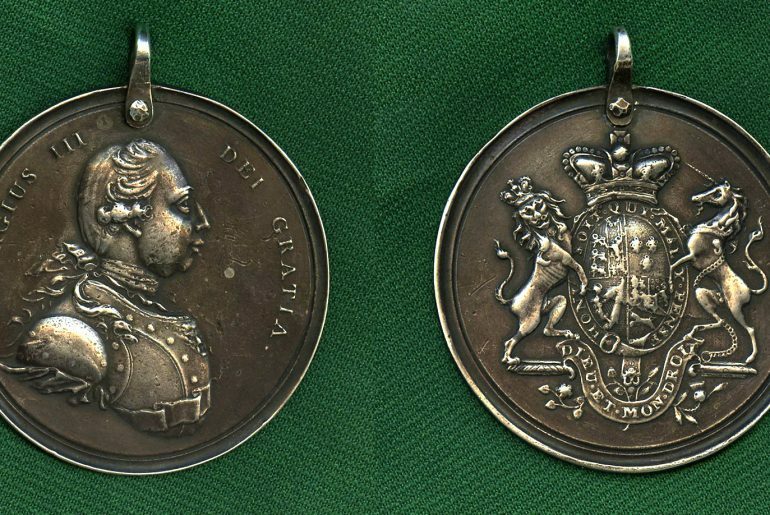 This is an extremely rare English George III silver peace medal for North American use. Medium size 2.25 ” (58 mm) diam, medal (Adams 8.1, first of two states). 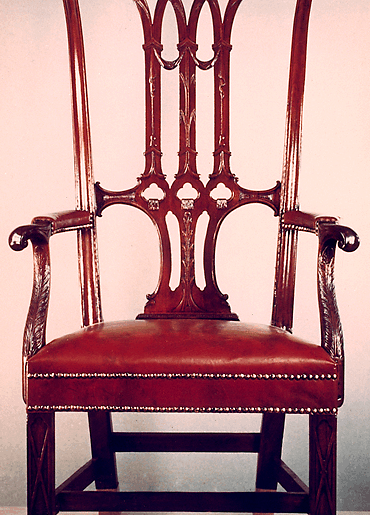 Date: 1776-1800. Until this one was recently recorded only seven of the first state of the medium size medal were known. 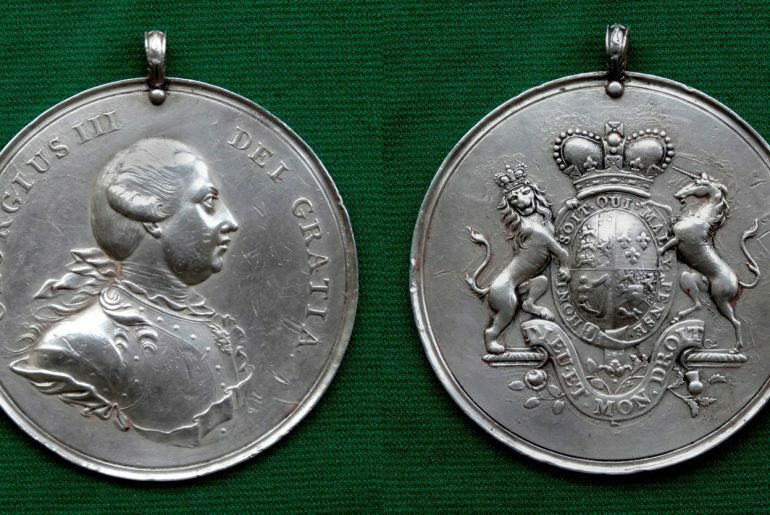 Bust of George III and His coat of arms. Made in three sizes, this is the rare medium size. Silver peace medals were presented by representatives of sovereigns (English French, Spanish) to Native American chiefs to influence their loyalty. Found in Mohawk Valley. See my article on “Emblems of Honor, Congressional Medals of War and Peace”, Magazine Antiques , July 2002.